Turn your empty wall or fence into a garden. It’s as easy to hang as a picture. It automatically waters itself and allows you to grow indoors or outdoors in any season. And here’s the real dirt (or not): it’s a hydroponic system. 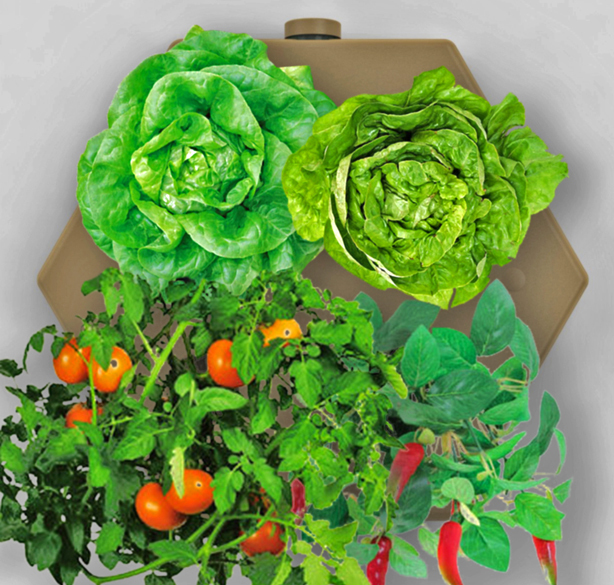 It’s Farm in a Box™ EcoTech Design Studio, an innovative new vertical garden system that makes organic home vertical gardening a real no brainer. 1. 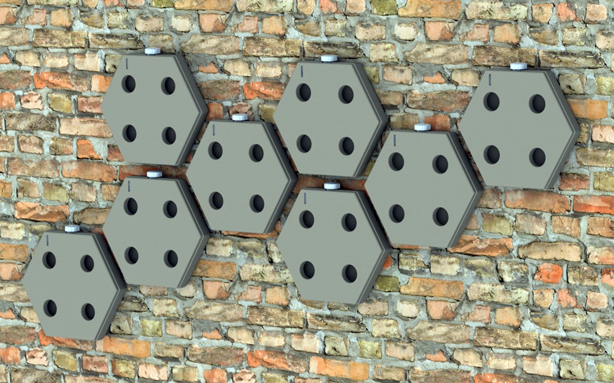 Attach one or several units to a wall or fence. 2. 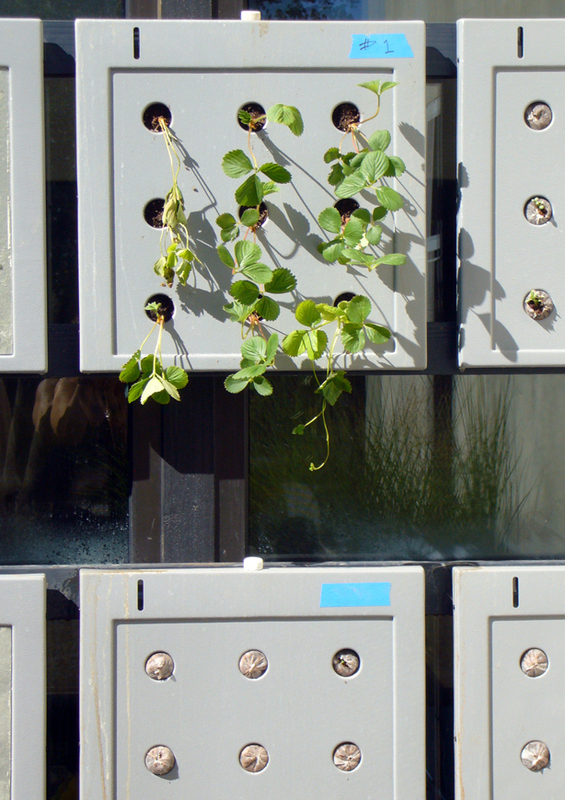 Place one of the specially designed Seed Pods into each opening. 3. Add water to the built-in reservoir. 5. Grow your own food. 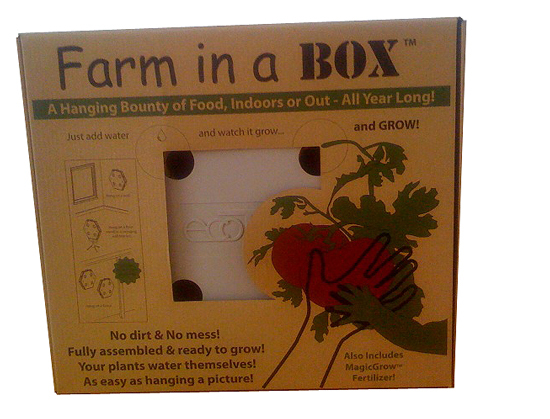 Farm in a Box™ automatically regulates the flow of water maintaining the optimal level of moisture. With its built-in water level indicator, you can easily check the water level. As plants begin growing, you begin adding EcoTech’s MagicGrow™ organic fertilizer to the water reservoir, which allows you to water and fertilize simultaneously and automatically. EcoTech hopes to create a shell that will be as free of toxins as possible, but until testing (for VOCs, etc) is completed, they can not state for sure what the final shell composition will be. All of the packaging, made from 100% post consumer content, can be composted. One of the nicest features about this product: EcoTech envisions it retailing for less than $20.